FUTURE OF FREIGHT: Garry Button, Freight Victoria CEO, said the regions are much more truck-friendly than people living in the cities. 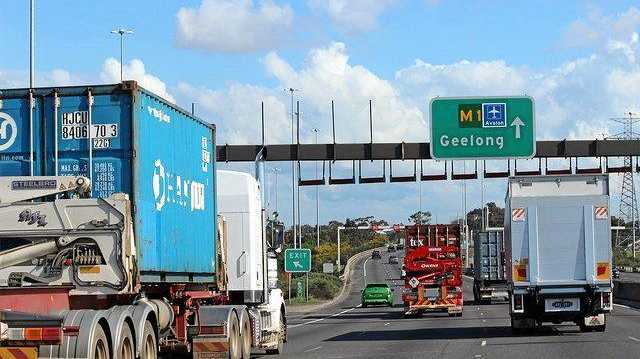 FREIGHT needs a change of image, a change in mindset in which Australia's major cities could learn from regional communities, the Australian Logistics Council Forum was told in Melbourne. Garry Button, Freight Victoria CEO, a member of the panel reporting on the progress of the National Freight and Supply Chain Strategy, said that freight not only needed a higher priority but community attitudes also needed to be adjusted, particularly in urban areas. "One of the things I've noticed travelling around Victoria between the urban and regional centres is the different perceptions theses areas have of freight in their community,” said Mr Button. However, he said, regional areas tended to be more "embracing” of freight, seeing it as more intimately linked to the community in terms of employment and the "vibrancy of their cities and towns”. The panel was led by the deputy secretary of Department of Infrastructure, Regional Development and Cities Pip Spence in the luxurious surroundings of the MCG members area. Ms Spence said the National Freight and Supply Chain Strategy would position Australia to meet futures challenges, with freight volume expected to double by 2030, urban freight growing by 88 per cent per year, and a need to maintain the country's international competitiveness. "A national approach is essential,” she said. While Ms Spence's department is taking the lead in the development of the strategy, she described it as a "collaborative and cooperative experience”, involving the the states and industry. "It demonstrates that federation can work,” she said. "A national approach is essential to ensure our freight systems can work across state and territory borders to enable the efficient delivery of goods wherever they are required across Australia and beyond. "For the strategy to be effective, it needs to set an agenda in collaborative and integrated government and industry action across all freight lines over the next 20 years and beyond. The process also includes working with other commonwealth agencies and with industry in a series of forums across the country. One of the points made during consultation, according to Ms Spence, was that there must be something tangible come of the plan, so that once the strategy has been signed off - hopefully, by the end of the year - it will move into the "implementation phase”.